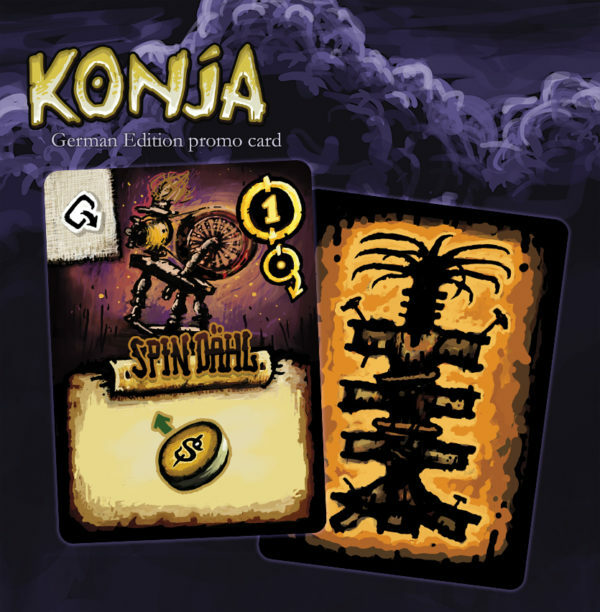 Limited edition Relic card from German Edition of Konja. 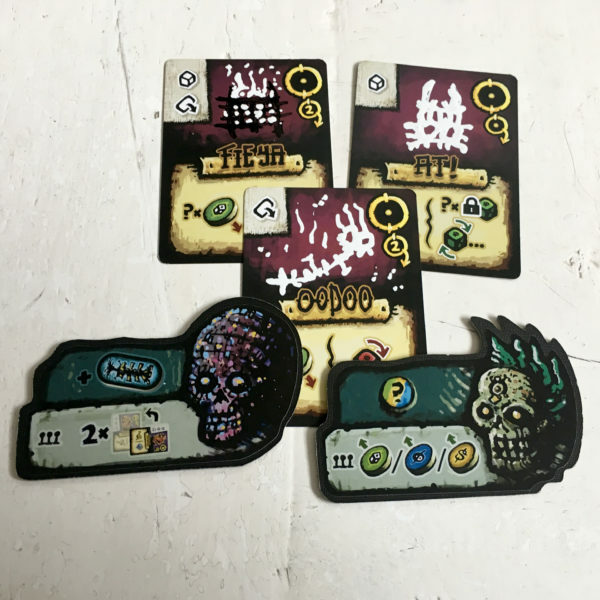 Hand-made Relic card set by the artist. 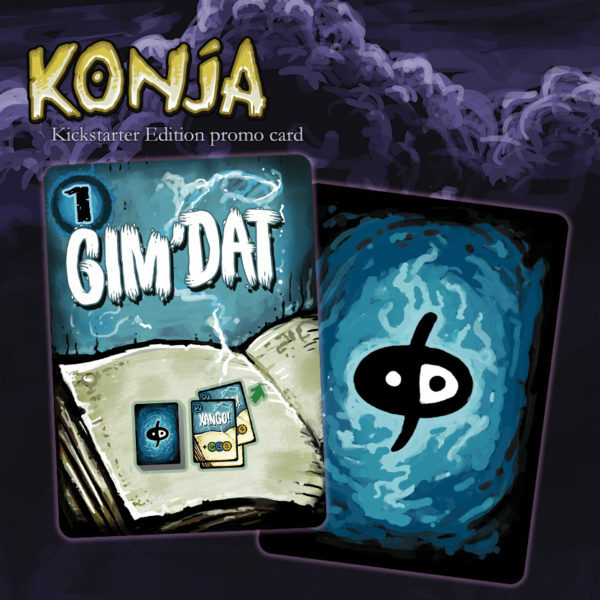 Rules for third wizard player. 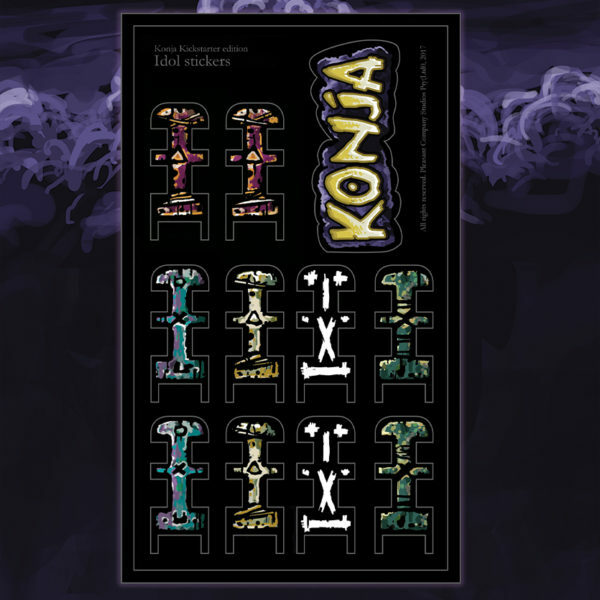 Sticker for reverse of Spirit and Resource Ancestor tiles. 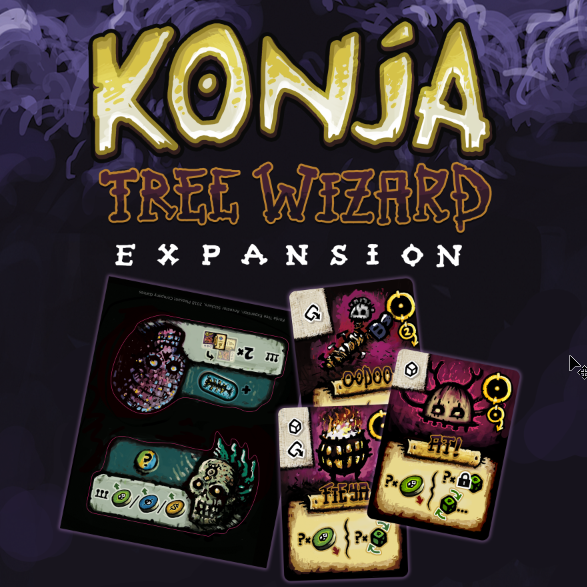 Konja: Tree Wizard mini-expansion for a third wizard player.